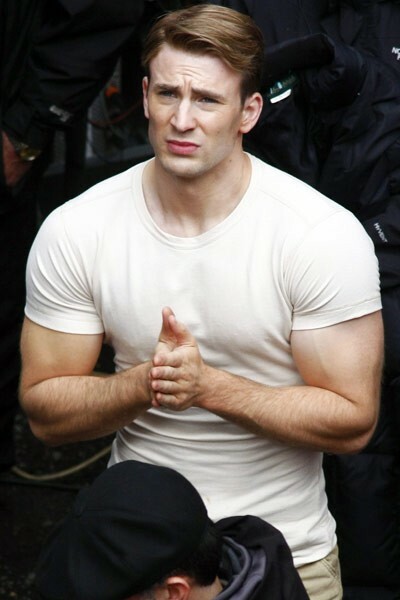 No, this isn’t me making good on my threat to rhapsodize over each of Chris Evans’s individual attractive features in turn. Okay, there’s a little of that in here, but I swear I have more of a point. This is about costume design. 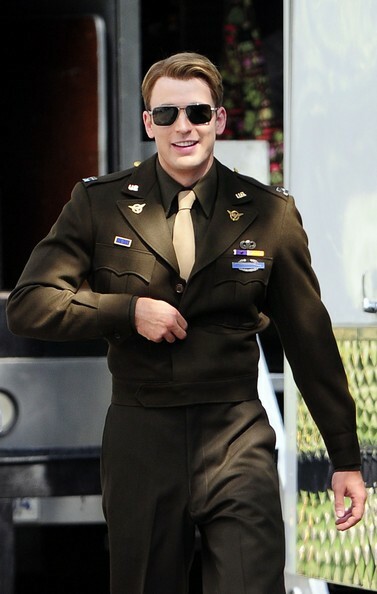 …and the updated look in The Winter Soldier. Or maybe you (like Bernie, who has already been subjected to this rant) didn’t notice the styling of his hair at all. But I actually think it was a significant design choice, with a lot of meaning in it, and it’s a change I’m not sure I’m on board with. Now, don’t get me wrong. 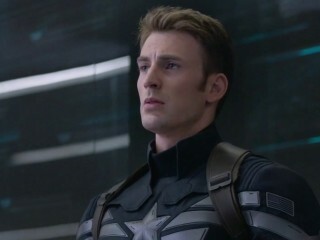 I love Cap’s hair, at least from an aesthetic standpoint. Whether old-fashioned or modern, short, blond, and styled is my favorite look for the man who IS just about my favorite way anything looks in the universe. So from a plain prettiness standpoint, I’m cool with it. But from a costuming standpoint… I’m not sure I buy it. 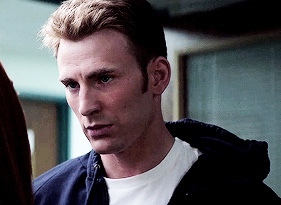 Look at THIS hairstyle they chose to use in Winter Soldier in particular. First of all, it’s noticeably modern, particularly in contrast to the sideswept, side-parted, and likely pomaded 1940s good boy look we were introduced to him with. I know why they chose to update it. 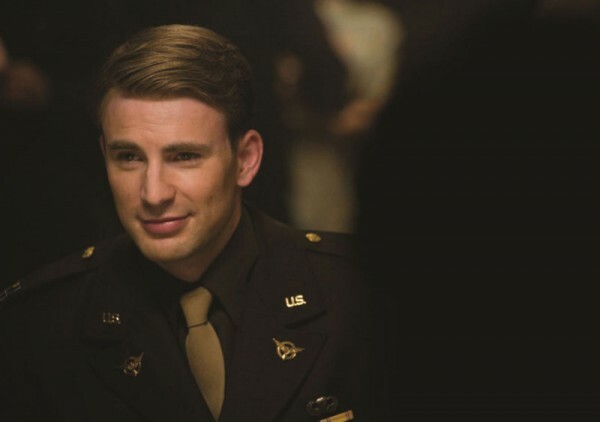 Probably partially to take advantage of Evans’s boy-next-door good looks, but also, like all costuming and styling choices, to tell you something about the character. In this case, I think it’s to show he’s making an effort to adapt to the present day, to not live in the past. That’s borne out in his acknowledgement of all the good changes since the 1940s, and his effort to learn about current culture. But what bugs me is not that he has adopted a modern hairstyle– it’s that it’s THIS hairstyle. ‘Cause that look? Is NOT a roll-out-of-bed, low-effort, natural look. It’s not even the Hollywood version of how average men wear their hair, where all the work of styling and product applied are deliberately concealed in order to create the illusion of natural hair. THAT hair is a clearly, obviously, carefully curated, meticulously designed, faux-messy style involving a lot of work and hair gel, associated with young, contemporary men who not only care about fashion and appearance, but about giving off a hip, current vibe to the people who see them. I am a costume designer. I believe very strongly that truly good costuming (as with all aspects of production design) helps to tell the story. So the baggage the audience attaches to the clothing and styling of the characters should give them information about the characters and narrative. 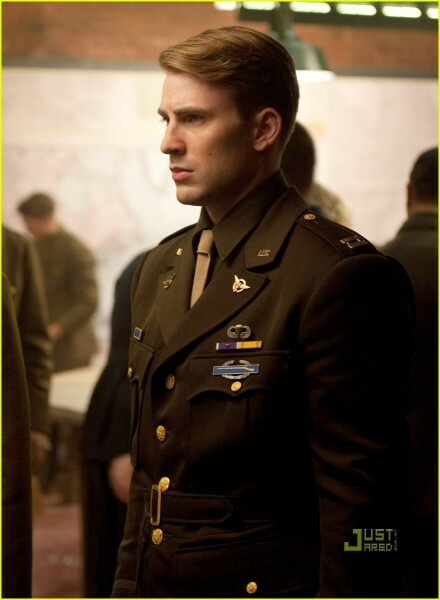 Compare that to Steve’s wartime look. Clearly he’s a much more modest guy than that. It’s not that big a deal. Probably most people didn’t even notice. 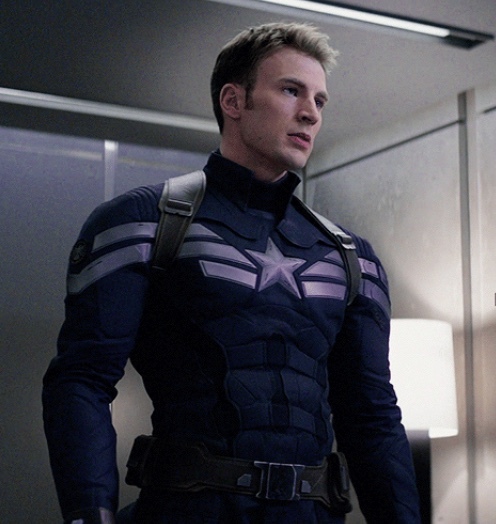 And hell, other aspects of his presentation have more to do with his status in a superhero and the attendant stylistic choices– I also doubt a truly diegetic Steve would wear his clothes that tight either. But tight costumes are part of the superhero genre, Steve’s extreme physique is likely going to fill out ANY article of clothing, and Hollywood is sure as hell going to show off that exquisite heroic figure. I’m the LAST PERSON ON GOD’S BLESSED EARTH to complain to you about that. Hell, I like the fanon joke that all the ladies at SHIELD told him that in the future, everyone wears their clothes that way. But the hair bugged me. I felt like you could have communicated “Steve is trying to update” without making an out-of-character choice.